Sometimes renders and prototypes not good enough for you because they don't give out the proper information which is different when it comes in hand. 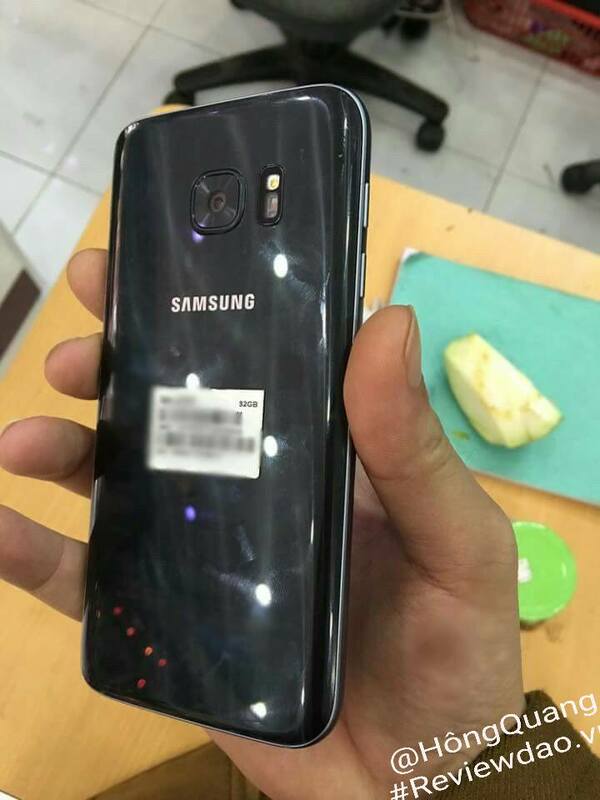 Perhaps a real shot of what appears to be a production unit of the Samsung Galaxy S7 is more your style. That’s what appears to be in this leak, anyway. While the image doesn’t do much to give away anything we didn’t already know, it’s nice to see how the device will look in the flesh. As you can tell, it will have a curve on its backside for improved ergonomics while still retaining that slick glass build. The camera unit is also more recessed, but not so much that it’s completely flush. And yes, this thing is still a fingerprint magnet. The leakster also had some info to share about the device. It does mention the Exynos variant will be 15% faster than the Qualcomm (though the numbers could be based on benchmarks which don’t always tell the full story on real-world performance). February 21st is closing in fast, folks, so expect more of this stuff from here on out.